There are many events that have been happening in Venice all year long. Since the city is busy with these events, accidents may happen. So, it’s better safe than sorry. 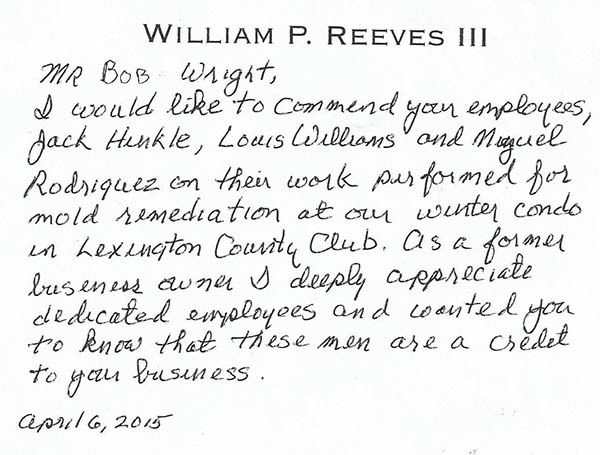 ServiceMaster by Wright has been loyal to Venice citizens. It has existed since 1978 and we have never failed the city of Venice in Florida. We have been very responsive when it comes to fire and water damage in Punta Gorda. Be it a mold problem or a simple cleanup, ServiceMaster by Wright is ready for anything. Aside from the services mentioned above, we also have Emergency and Disaster Service Division 24/7 in Venice. These more than qualified technicians are available 24/7. Just call us and we will respond within 15 minutes after. Our reliable technician are dependable, you can be assured that all your concerns will be taken care of. We have several offices located in Fort Myers FL, Naples FL, Sarasota FL, Punta Gorda and Manatee FL. For services like water removal, dehumidification, and structural drying, smoke, water Damage Punta Gorda and soot removal and clean up, you can also trust us to give you our quality services. If you are located in Venice, you may also reach us through our contact details for Sarasota County, 941-877-6025. We have trustworthy Licensed General Contractors and Certified Technicians that you can depend on when it comes to professional damage assessments, determining the services needed, and lessening claim severity while keeping your mind at ease. ServiceMaster by Wright offers services anywhere in Bonita Springs, Bradenton, Cape Coral, Northport, Punta Gorda, Englewood, Fort Myers, Longboat Key, Naples, Marco Island, Sarasota, Siesta Key, and Venice. Whether you are in Collier, Lee, Manatee, or Sarasota Counties, we have you covered! I thought our meeting with Jonathan, Kim, Diane and you regarding our project was very productive and I believe that the resulting meeting of minds suggests that repair and remodeling should proceed successfully. On a related subject, I want to recognize the extraordinary efforts of staff members Tony and Melissa. They were very responsive and comforting during the remediation process and, in our opinion, went above and beyond the norm to make me and my wife feel confident about the outcome of the project. They represent Service Master very well.